Jim won a gift certificate from Bluewater! 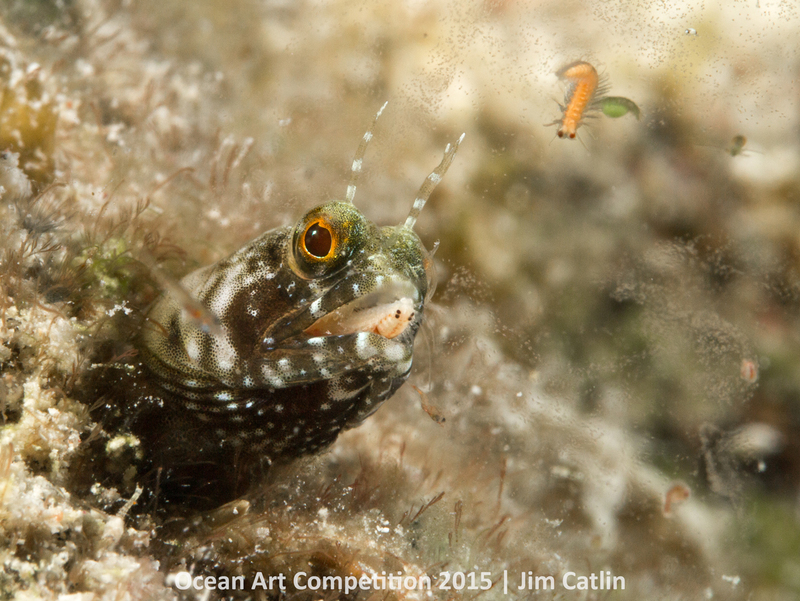 The story: This shot is of a blenny hunting bloodworms at night. It's reactions and speed were so fast that the only way to photograph this behaviour was to patiently fire pre-emptively until I captured the shot. For around 35 minutes I waited with him, firing when I thought he was about to strike. My goal was to capture the moment he took the bloodworm in his mouth, something almost impossible to see with the naked eye, fortunately this shot did just that!